We're showing information for 49440. Customers and consumers are more informed concerning their purchasing options than ever. They will only invest time and money in companies that offer the best products, services, and buying experience. This means that Michigan business owners have to work harder than ever to remain competitive. Muskegon, MI companies are working harder than ever to attract loyal new clients. Business owners who want to stand out need dependable, rapid connections to current and future customers. Frontier Business packages offer a variety of phone and Internet services—including Business High Speed Internet—designed to help you stay connected with both your customers and employees. It’s no secret that business competition can be heated in The Great Lakes State, especially with Muskegon job growth expected to reach approximately 4.00 percent. Without the right tools, systems, and workflows in place, this level of competition makes it difficult for businesses to be successful. That’s why Frontier’s services for small businesses were designed to help you enhance your online footprint with quality Web Development and Hosting. Plus, your data will stay safe and easy to access thanks to Frontier’s Managed IT resources. Companies aren’t just vying for business either—they’re also searching for the best people to join their team. Frontier’s offerings can help you build connections with customers, employees, and business partners. Frontier gives you the tools you need to improve efficiency. You can promote sales with Texting and use Conferencing to work on projects with your team when someone is away from the office. It’s more important than ever to invest in scalable technologies, especially for large businesses in Michigan experiencing growth. 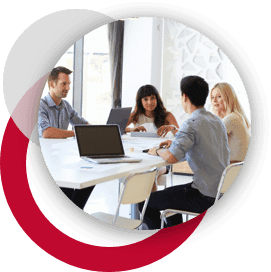 If you’re facing the challenges that come with an expanding business, Frontier’s Enterprise Solutions are just what you need to continue your expansion with confidence. Choosing products that will continue to be useful while your company expands can help you save time and money in the long run. No matter how rapidly your company grows, scalable Ethernet (Local Area Network and Virtual Private Line) will continue to provide the bandwidth and connectivity that modern business demands. Additionally, our IP Virtual Private Network keeps your IP connection secure as you use the internet. Along with scalability, your Muskegon business is going to need the latest tools to keep up with the competition. Telecommunications has come a long way, and with Centrex from Frontier you can stay up to speed with high-quality telephones that will keep you seamlessly connected to your customers, no matter where they are. 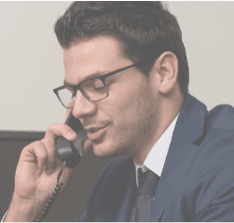 If you’re looking for more than just a great phone connection, consider a Hosted VoIP solution that offers many other essential features including unlimited nationwide calling, voicemail, Caller ID, and voice-to-email integration. To make things even easier, you can leave the hosting, equipment, monitoring, and network design up to Frontier Communications. When you choose Frontier’s services, you can focus on providing the best service to your customers in The Great Lakes State. Are you aware that 2013 statistics show 0 cybercrimes were reported in Michigan? That is why it is more important than ever for businesses in Michigan to protect themselves. Frontier can protect your physical assets with equipment replacement programs while Frontier Secure offers protection for your digital assets. With features like advanced tech support, cloud backup for important data, and anti-malware software, your online assets can stay safe and your system can be shielded from cyber-attacks. Even if you have the security that you need, it won’t mean much if your Internet can’t keep up with the speed of your business. Fortunately, Frontier is helping companies in Michigan get the bandwidth they need to conduct business efficiently. Frontier Internet offers speeds of up to , which ultimately allows you to spend less time downloading files and more time converting potential clients and serving your existing customer base.